← So Much Buzz for STILL NIGHT IN L.A.! An Interview with the Author of Still Night in L.A. 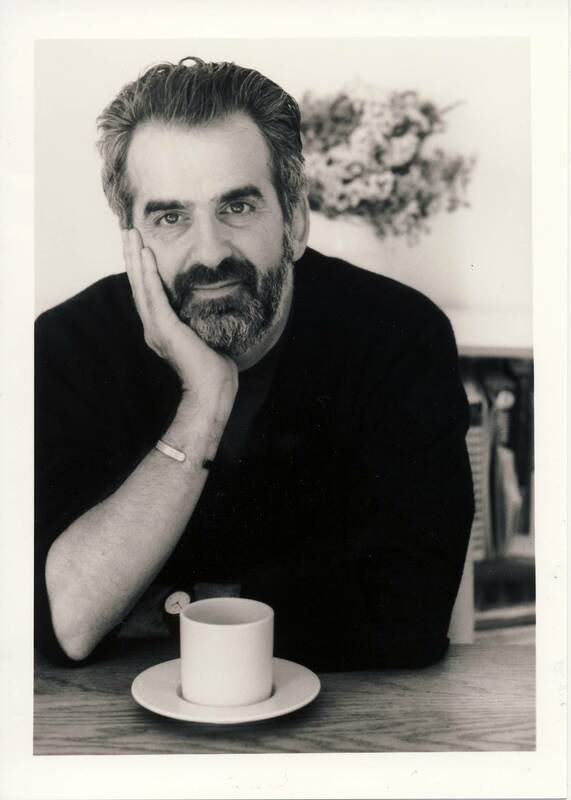 In October 2015, Three Rooms Press is thrilled to release the new detective novel by celebrated poet and true crime author, Aram Saroyan: Still Night in L.A. So to whet your appetite for this fast-paced, action-filled thriller, we’re sharing the results of our recent sit down with Aram. Aram is the author of Complete Minimal Poems and Rancho Mirage, among other titles. 3RP: So tell us, what are you reading right now? AS: I just finished Writers in Hollywood 1915–1951 by Ian Hamilton, a terrific book about the first fifty years of the movie business with the focus on writers: Faulkner, F. Scott Fitzgerald, Raymond Chandler, Dorothy Parker, Lillian Hellman, Nathaneal West, Billy Wilder, Charles Brackett, and a lot of others, all of them playing second, third, or fourth fiddles to the real powers—L.B. Mayer, Sam Goldwyn, Darryl Zanuck, et al.— then later, during and after the war, to the government. It’s really a portrait of an industry interacting with history—including the post-war House Un-American Activities Committee. Fascinating! Such an interesting industry at such an interesting time. Do you have a favorite book? That’s a hard question. Probably the one that I’m reading and liking at the moment. In recent years I think it’s probably The H.D. Book by Robert Duncan, a prose masterwork by Duncan, who is better known as a poet. It’s really about literary vocation, which Duncan discovered when he first read H.D. (Hilda Doolittle) and how, if you find it and learn from it, it can help you through life. That shifts nicely into my next topic: writing. What are your thoughts on writing? What makes you want to write? I read somewhere recently about two writers talking and one said, “It’s getting harder.” And the other said, “You’re getting better.” That sort of sums it up, in a way. It’s a journey and at the beginning the urgency of getting something said pushes you. And later I think finding what makes writing lifelike gets to be the adventure. I like that; that’s very true. What about your day-to-day writing adventure? Do you have any writing rituals? My dad told me when I was beginning, “Give yourself a daily easily achievable goal—like one or two pages a day, not something difficult—and try to write around the same time each day.” It was very helpful, those guidelines. Instead of rushing, you routine-ize the process and it’s liberating. So that was some of the advice your dad passed on to you. Do you have any tips of your own you’d pass on to new writers? I’d pass on my dad’s advice. Tell us a little about Still Night in L.A. What were your reasons for writing a detective novel? I was interested in the character of the detective found in books by Chandler and Hammett and Ross MacDonald: this guy who lives in a chaotic unpredictable world and tries to keep his head and his moral compass. My new work is mostly for the wall. I’m doing prints and other pieces that incorporate words. Years ago The Paris Review printed a silk screen of my one word poem “lighght” in yellow on a white sheet. And this new work follows in that line. That’s wonderful; I hope you’ll keep us updated! Along a similar vein, what do you do for fun that’s not writing? I love jazz and the Great American Songbook and my wife Gailyn and I like to go to concerts and performances in L.A. Follow Aram Saroyan on his website www.aramsaroyan.com, and follow Three Rooms Press on Twitter or Facebook to keep up to date with the publication of Still Night in L.A.
Aram’s playlist from the making of Still Night in L.A. The Beach Boys . . .